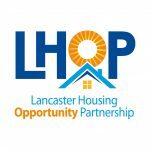 We believe the streets, open spaces, parks, and other public spaces in Southwest Lancaster are clean, safe, and inviting. Create a Sustainable Trash Management Approach. Create Additional Open Space Amenities in the Neighborhood. SoWe Play has been working to renovate Culliton Park (formerly Farnum Park) as one of the many initiatives to make the SoWe neighborhood a cleaner, safer place for all residents. SoWe Play is working to find ways to keep our streets cleaner, and create additional open spaces for residents to enjoy. SoWe is bordered by two large city parks that offer a variety of recreational activities. Culliton Park, at 210 Conestoga St., is known for Conlin Field, the location for many softball and baseball games throughout the warmer months. Culliton Park also has a wading pool, basketball courts, and a playground. Brandon Park, located at 525 Fairview Ave, has numerous basketball courts, and a playground. Both parks are available to reserve for activities. Friends of Culliton Park is a resident group that seeks to protect and support Culliton Park. The Friends are responsible for organizing great events at the park including the annual Trick-or-Treat event and Egg Hunt. Visit the group’s Facebook page or send them an email to learn more or to help them organize their next activity. SoWe and LHOP employ two part-time Clean Crew Members who work to eliminate litter in SoWe. The Clean Crew also serves as ambassadors, providing information to neighbors about resources and programs. The Clean Crew also works to organize community clean-ups. Help us eliminate litter in our neighborhood! The Clean Crew is active from April to November. The City of Lancaster believes in a litter and trash free environment for its residents. Help eliminate litter on your block by adopting your block. SoWe hopes to have all the blocks in our neighborhood adopted! For more information about the Adopt-a-Block Program contact Tim Breneisen. In the dense residential neighborhood of SoWe, spaces of greenery are sometimes hard to come by. SoWe Play is actively working to identify locations for pocket parks as well as work with property owners to convert their underutilized space to benefit the community. Through the generous contribution of the Gunterberg Foundation, the City of Lancaster will be able to renovate Culliton Park (formerly Farnum Park). SoWe Play and the Friends of Culliton Park have been working to make sure the redesign aligns with the neighborhood’s wishes. Construction of the park will begin in the Spring of 2019. SoWe plans to install neighborhood trash cans throughout the neighborhood. If you would like to recommend a location for a trash can please contact Rachel Eck at Rachel.eck7@gmail.com.